Roofing in Arizona can be a dangerous job. There are plenty of things that can go wrong and if you’re not paying attention you run the risk of hurting yourself or others. If you are working with a team, or are just a couple of people patching up a roof, then the safety of yourself and everyone else up there is the responsibility of everyone involved with the project. Hazards and pitfalls are not going anywhere, they will always be a part of roofing, but making sure you know what those hazards are and properly using fall protection can assure you and everyone else will avoid serious injury or even death. The first line of defense is your harness. Make sure that it fits properly, nice and tight. You will always have to make sure that the lanyard fits and is the proper length. If the lanyard is 7 feet long fully extended and your shoulder height is 6 feet tall the fall needs to be longer than 13 feet for your equipment to be effective. There should be properly installed railing and skylight guards in place. Many accidents happen when a clear line of sight to the hazard is blocked, making it impossible to see. You could end up falling through a hole that way, so be mindful. That type of accident happens most when there is snow blocking the skylight and nobody cares to notice it and fix the problem. Negligence to these hazards will get you every time. There are many hazards that can be deadly, but one of the deadliest up on the roof is a ladder that is not in the best spot. Think about it. If your ladder is placed in a spot that makes it wobbly and unstable, you will be falling with that ladder in no time unless you fix the problem. Sometimes the angle may be wrong. The correct ratio when dealing with a ladder’s angle is 1 foot away from the wall for every four feet of ladder height. Aside from angle, a common issue with ladders is that it is not securely pinned to the roof. This can cause it to slide left to right, knocking the worker off balance in the act and sending him/her to the ground in a hurry. OSHA has reported several instances of people using a ladder with added weight on their shoulders. This change in the center of gravity many time will cause the ladder to fall. Many times the worker will fall backward and the bundle they are carrying will be the cause of the fall, not the ladder swing itself. So be smart when bringing loads up a ladder. Maintain your center of gravity and take it slowly. Rushing the process will undoubtably lead to a fall. Make sure that your feet a squarely placed on the ground and line up the ladder to also be square to the wall that you are facing. No matter what the situation, you should always make sure to be using fall protection. Understand the meaning of your personal protection equipment (PPE) and be sure to use it in the way it was meant to be used. This will save lives. It may be the single most important thing to understand when you are heading to a roofing project. Below is a list, numbered one through five, and it is made up of fatalities in the workplace. The list includes detailed reports on the OSHA website. Split Level Roofs & Fall Heights – If you are working on a low slope or split level roof that also has unprotected sides with edges 6 feet long or more above lower level you will definitely need to be wearing the designated fall protection equipment. Not doing so can prove fatal as it does not take a very long fall to do some serious damage. Pitch – It is widely know that you will fall a lot easier the steeper the roof is. Make sure your fall protection and shingle bundles are nice and secure before ever getting on the roof. Bad Line of Sight – Many things can block your vision while up on the roof. Be sure to be wary of chimneys, ridge vents and shingle bundles as the may block your line of sight on a roof. Improper Use of Fall Protection Equipment – If your lanyard is longer than it should be, or if your railing is not properly anchored you can fall. Remember to also check for weak tie off points. 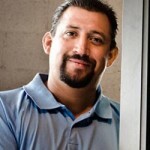 Improper Training – Is there anybody up on the roof that has not been properly trained? That makes them a hazard. Without training they become a danger to themselves and everybody else. So there you have it. As you can see there are many dangers waiting for you up on the roof. 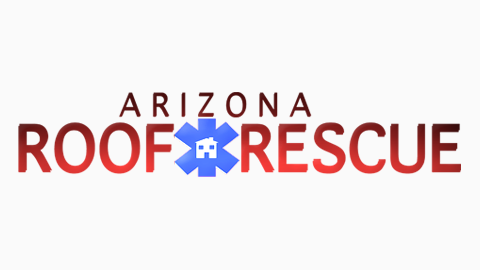 That’s why at Arizona Roof Rescue all of our workers are highly trained and keep abreast of the latest and greatest of safety precautions. So if you’re going to get up on the roof, make sure you’re ready, because any misstep, no matter how slight, can possibly be fatal. 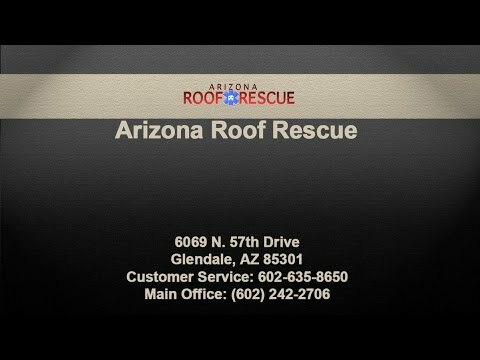 Contact us today to speak with a professional roofing contractor in Mesa.